Here at Wondercide, we love visiting the local farmers markets with our four-legged friends in tow and experiencing everything Austin’s artisans have to offer. Whether we’re looking to make healthy meals for ourselves or we’re snagging high-quality raw bones and homemade treats for our dogs, nothing beats local vendors for freshness and sustainability. If you want to bring your dogs to the farmers market, first check their website or social media pages to make sure that pets are allowed. If the weather is too extreme or your pets don’t like crowds, consider leaving them at home and surprise them with your great buys when you get home. 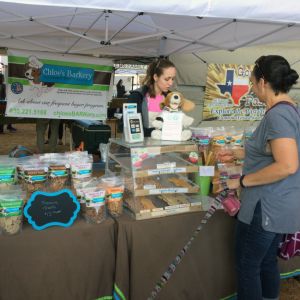 When you arrive, look for pet-specific vendors at the market, which often offer home-baked treats and handmade pet accessories and frequently allow your dogs to try before you buy. Fruits and veggie stands usually have a crate or two of odd-shaped or slightly older produce they’re not going to sell to humans, which is all still great quality. Get them at a discount, and you’ve got healthy treats for your pets or great ingredients to incorporate into a homemade diet. Be sure to avoid grapes and the pits of stone fruits, and never give your dogs rotten or moldy produce. Beef, lamb, pork, and chicken vendors sometimes have a stockpile of raw meaty bones (RMBs) you can buy as chews for your dogs. Make sure they’re big enough for your dog not to choke on, but avoid weight-bearing bones like femurs, and always check with a holistic veterinarian if you’re new to feeding raw bones. Bigger bones are often sold in bulk and can be used to make warming bone broth in the winter months. Many of these same meat vendors also offer raw food blends you can feed to your dog at meal time. If you’re interested in (or a veteran at) raw feeding, it’s always great to form a relationship with a local farmer, who can provide top-quality meat and hard-to-find specialty items like organs and green tripe. You already knew that farmers markets are a stellar choice when you’re looking to maintain a healthy lifestyle for yourself, and now you can include your pets in all the yummy local goodness. Since farmers markets are generally held in public (untreated!) 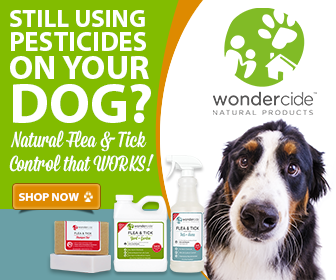 spaces, it’s also a great time to spritz your pets with Wondercide’s natural flea, tick & mosquito spray and keep them pest-free while you shop. Do you take your pets to the farmers market? Tell us about your favorite vendors in the comments! are you available in san antonio? Thanks for your question! The great news is we are in San Antonio. You can find the nearest location by entering your zip code HERE. I hope this helps!